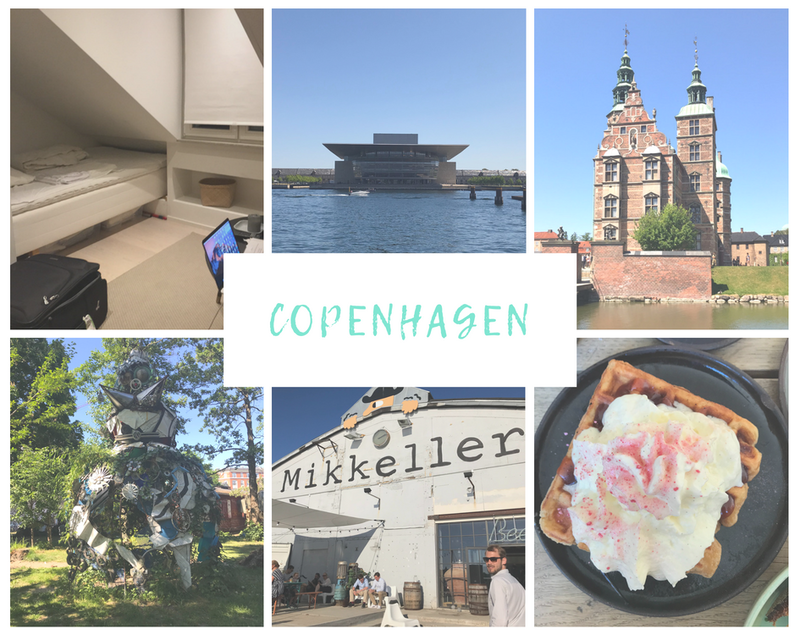 These are a series of posts covering my 5 weeks in Europe, and each country I see in bite sizes. Or as my best friend likes to say, “speed touristing.” I visited most places for 4 days, with the exception of Germany and some day trips. This is my way of taking you guys on my adventures through Europe, giving you guys my thoughts on each place and any tips I’ve picked up! 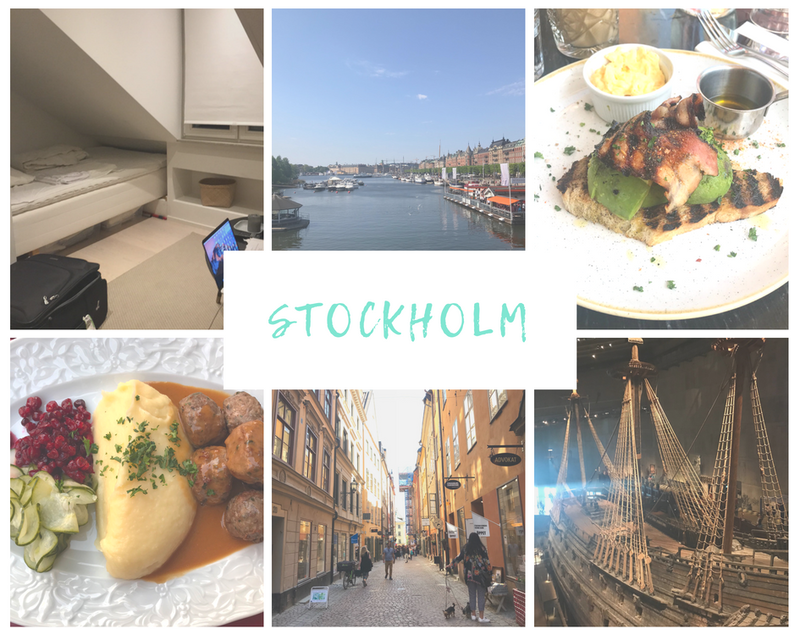 Stockholm and Copenhagen were small enough to walk through and take a look in one day each! It was rushed but I also felt like I saw what I needed to see - although not do everything I wanted to do. Both cities are beautiful in warm, sunny weather, as the cities have rivers flowing through them. You only have to sit back on the steps at the riverside or smaller parks and just sunbathe to have a great time. I stayed at this cosy and super cute Airbnb in Sodermalm. It's a short train ride away from the city centre, and home to various bars and clubs - perfect for the night life. I opted to check this out only because of the history behind this ship and how they managed to rescue it from the depths of the sea in it's entirety to be put on show. This place was a short walk away from my Airbnb and I highly recommend it! I had "The Vanja"and it was such a unique dish to try out. You haven't gone to Sweden if you don't eat meatballs! Located in the Christianshavn area, Free Town is a small anarchist district within Copenhagen, relatively well-known for its open cannabis trade. It has its own rules and regulations, independent of the government, although still in communications with the State. It is such a creative space, filled with so many buildings of different designs, stalls and communal spaces. An absolutely gorgeous place. The concept here is that you get a variety of categories on the menu with smaller dishes so you can pick and choose to make the perfect brunch meal! Loved it! Is this super cool outdoor food market, where there are different zones with containers of a variety of cuisines. Best yet is the brewery, Mikkeller, located just near the riverside. Great beer and great views! There are loads of options, but the cheapest is the bus. However, it is also the longest option and you could possibly be stuck in traffic if your flight times are around peak hour so keep that in mind. Otherwise the metro/underground is also a relatively affordable option. As I was staying outside of the city centre a little I had to rely on trains, which were easy to navigate and not expensive either. I was lucky to have an underground station right next to my Airbnb as well! Travelling to and from the airport is so easy in Copenhagen because of how small the city is. There is only one train stop, and the S-train can take you to the main station where there are a number of buses to take around the city as well. You definitely don't need public transport to make your way around Copenhagen. Everything is easily accessible by walking, and biking is the predominant mode of transport. Both countries use their own currency though so keep that in mind!